tells TMZ Sports he wants to be the first MMA fighter to finish his career with a 50-0 record -- becoming the of the sport -- and he's 100% confident he can do it. First things first ... we know Jones already has 1 loss on his record, but it's because Jon was disqualified for throwing illegal elbows in a fight he was otherwise dominating. Clearly, Jones doesn't consider that an official loss. Instead, Jon views himself as unbeaten in the Octagon with a 24-0 record (instead of 23-1) -- and says he plans to chalk up another 26 victories ... starting with on Saturday at . 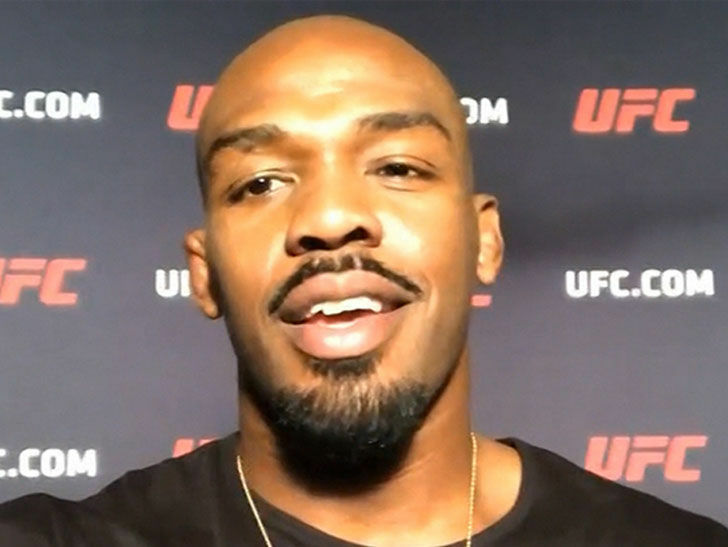 After that, Jones says he realizes he's on a with ... but says it's unlikely they will fight at heavyweight unless the . "[The UFC] can convince me to fight Daniel Cormier," Jones says ... "We give the fans what they want to see." As far as that 50 win mark, Jon explained it this way -- "I think 50-0 would be a really great number ... no one's ever done it. That puts you up there with Mayweather and some of the all-time greats in boxing." "I'm 31 years old and I believe the best is yet to come." Jones says he's got the best team around him that he's ever had and says he feels great. While Jones is considered by many to be the greatest UFC fighter of all time, it ain't gonna be easy to get to 50-0. First off, Smith is no joke -- the guy is on a 3-fight win streak with violent victories over guys like , and Volkan Oezdemir.